Standard Shaker styling has been embellished with fine ribbing detail which gives it that little bit extra. This fine detailing is also reflected in the modern canopy. 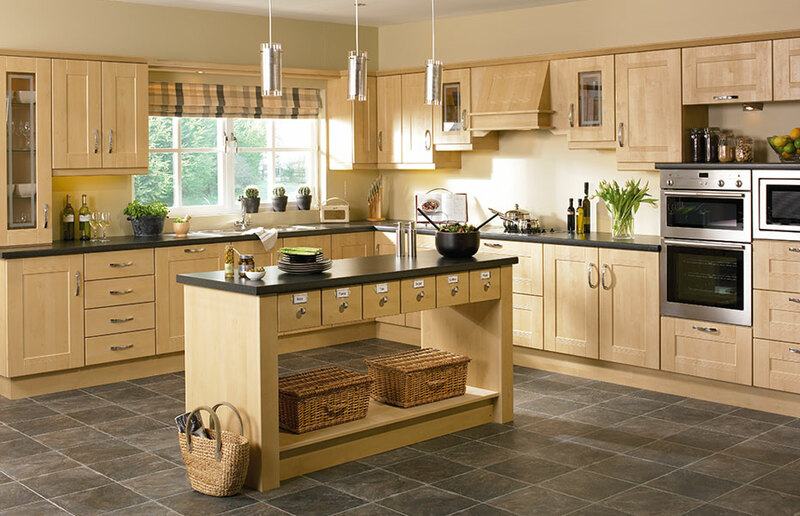 The island unit creates an excellent preparation and storage area without dominating the space. Please Note: The Light Sandy Birch is discontinued. 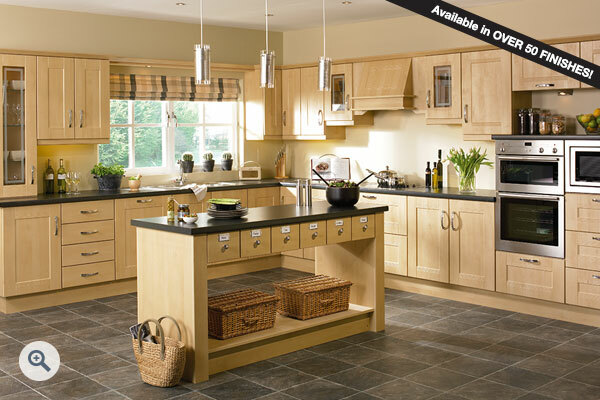 The Shaker Ribbed design is available in all other non-gloss finishes. Click the button to request a free large sample swatch of Sandy Birch. Click the button to purchase a Sample Shaker Ribbed design door in the Sandy Birch finish. The Shaker Ribbed design is also available in ALL non-gloss finishes. The Shaker Ribbed design is also available in ALL high gloss finishes.